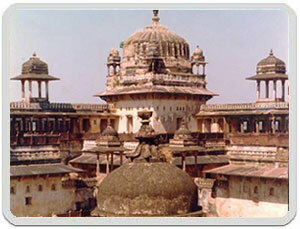 Am in Gwalior at present to see the Fort and maybe the Palace museum. I seem to be almost the only foreign tourist in town and as I'm travelling solo, it's rather dull. 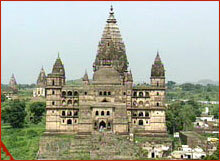 Also, several Lonely Planet recommended cafes and hotels in Gwalior are shut for rebuilding or permanently. Hotels are almost empty. Thought to go on to Orcha. Are there any overseas tourists there or is everbody in Agra, Varanasi etc? 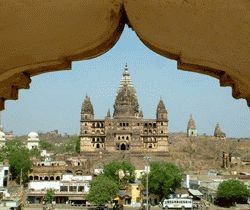 You should find a few foreigners wandering around Orchha. You won't miss them as it's a fairly small town/village. It's in the minor league of places to visit compared to Varanasi and Agra but most people on this forum who have visited it seem to really like it. There are a few small restaurants in the main village street beside the bridge where you may meet fellow travellers and you'll get a view of Indian small town life. In my opinion, a pleasant place to spend a few days, or more. I'll be in Orcha tomorrow!!! So thats at least four whities in town!!! We will be the two couples sat in pintoo's dhaba for most of the day!!!! Thanks to folk who replied, particularly cyberhippie. I tried to check postings this morning at Gwalior's sole internet place but it was down for technical reasons. To recover my comfort zone I came north to Agra this afternoon. Plenty of tourists to chat with and at least one working internet cafe. Have had some good conversations with Indians in the past six weeks here. One or two think I should have a go at Hindi but English is the unofficial national language. There are about 17 recognised Indian languages apart from Hindi anyway. Will think more about Orcha. I think I might be a day or 2 late on this one! 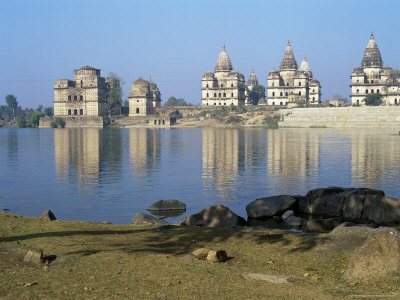 I was in Orchha a month or so ago and just loved it. There were quite a few tourists there but not nearly enough to take the place over. I was on my own too and met some lovely people. I'd recommend the Shri Mahant (I might have got that a bit wrong) - it's a really socialble place with a great balcony where all the tourists seem to end up whether they are staying there or not. If you get another chance I'd go if i were I you. 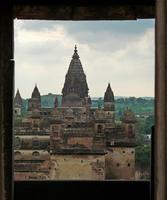 Last year we spent three days in Orchha (in the cottages near the river. Go down and just before crossing the road, before the bridge, on your right. Around 850 rps). 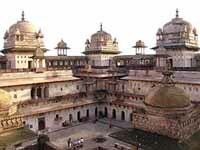 I never met any tourist who was not happy about Orchha. Touristic and, in the same time, very indian place. Orchha restaurant on the place where they park the buses is a good and cheap place for good indian food.